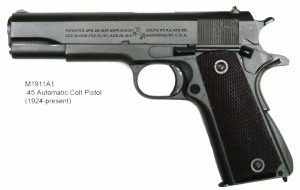 CMP 1911 dedicated email address cmp1911FFL@thecmp.org to send their FFLs with customer’s name attached. Auction Grade (Sales to be determined by auctioning the pistol). The condition of the auction pistol will be described when posted for auction. Note: If you have already purchased a 1911 from CMP you will not be allowed to purchase an auction 1911. If you purchase an auction 1911, your name will be pulled from the sequenced list. No repeat purchasers are allowed until all orders received have been filled.